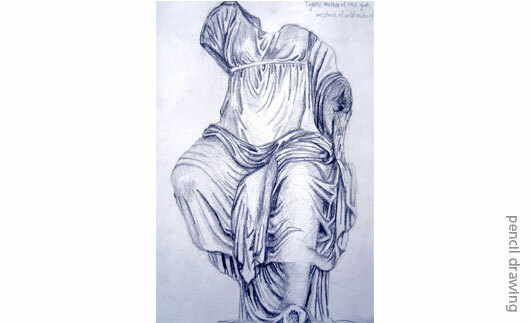 Greek Sculpture Study - Pencil on paper. Boston University class project. 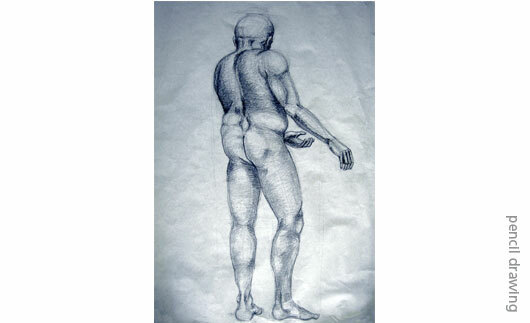 Study of form and tone. Standing Man - Pencil on paper. 48" x 41"
Boston University class project. 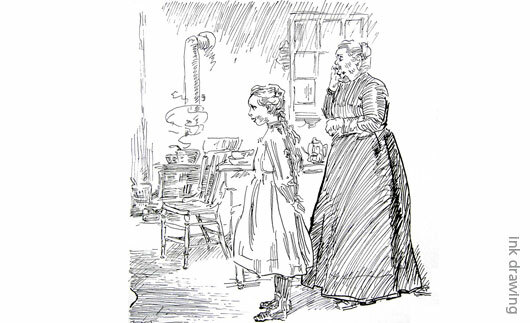 Left: Study of form and tone. Right: Study of negative space. 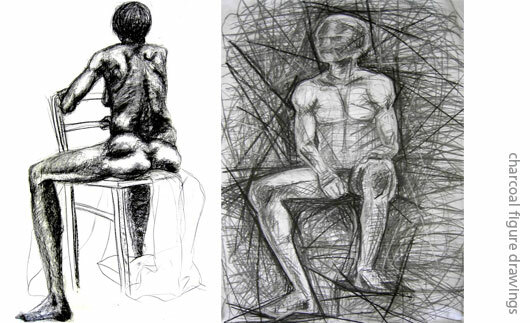 Seated Figure Studies - Charcoal on paper. Both: 48' x 34"
Ink Copy Project - Ink on paper. 8" x 8.5"
Boston University class project. Study of line weight and style. Copy of another artist's style. Famous Portrait Study - Charcoal on paper. Boston University class project. 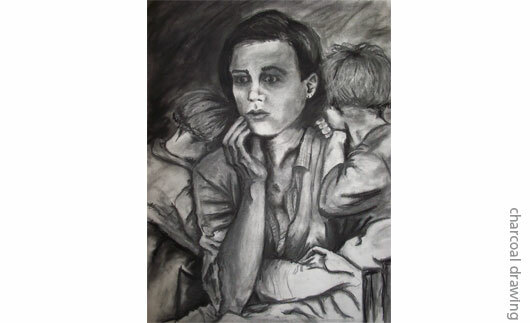 Study of Dorothea Lange's famous 'Migrant Mother' depression-era photo, with self-portrait.